But sometimes great content doesn’t have to come from you. 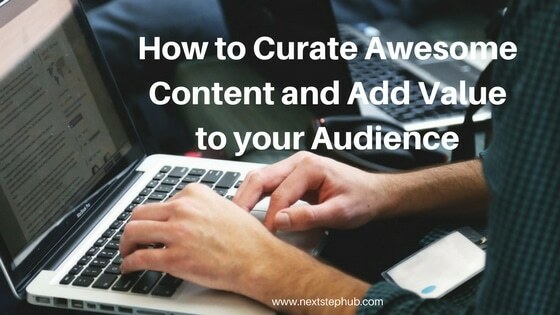 That’s why content curation is a vital strategy in building your audience online. Finding useful and relevant content can be a challenge. So this week, we give you tips on what to do and where to go to find valuable content to share with your audience. This week on Five Tips Tuesday, we talk about content curation and how you can find the right channels to get it from. Check out apps and tools that seasoned content marketers rave about. Learn how to promote blog posts on Facebook without spending too much. Avoid email faux pax with an infographic about the basics of email ettiquette. Get valuable tips on how to turn your passion project into a thriving business. Learn how to resolve problems with a ‘thinking-outside-the-box’ perspective from four thought leaders. Emails still prove to be reliable in growing businesses. It helps us connect with new business prospects. It also grows our prospect leads through email marketing. Emails may be easy to compose, but there are still some who commit cringe-worthy mistakes. This infographic from Entrepreneur.com can save you from future embarrasment. Most would say you’re lucky if you get to do what you love and earn from it. But those who do would say it isn’t luck that got them there. Twenty seven year old Nick Quah turned podcasting to a lucrative business. In an article for FastCompany.com, he talks about how his past time turned into an LLC. He also gives some of his tips on how he made it happen. Check it out here. Get the best tips on how to promote your blog content on Facebook. Learn how using eye-catching headlines and images can grab your audiences’ attention. Also, learn strategies on boosting posts. Get the right audience to see your content. All this and more when you check out these brilliant strategies from Content Marketing Institute. Everyone has their go-to tools and apps that they acces to help make their workdays easier. Keeping tasks organized and up to date are among the things that matter most. Now here’s an article from Content Marketing Institute that gives us some of the most dependable apps and tools to use. See if your favorites make the list. Learn a different approach to problem solving with Think Wrong. Created through a collaboration of four leading designers and innovators, this book teaches you how to use radical problem solving systems that produce suprising results to the most challenging questions. It also introduces a new way of thinking as well as frameworks and tools that conquer the status quo and drives change. Get it on Amazon here. Got more to add to our list? We’d love to hear from you! Read more articles and resources here.